There they are again. The same person who always walks into your class about 7.37 minutes late, holding the culprit – their venti, iced, caramel, hazelnut, nonfat, extra shot of espresso, cold brew nonsense. They sit next to you and slurp slurp for the entire lecture, taking two notes. Soon, the venti whatever is gone, and the plastic green straw stirs around in the cup, searching for the remaining, watered-down drips of coffee. Then, per usual, at the end of class, you watch as the cup is tossed into the recycle bin, straw and all – R.I.P. Contrary to what many believe, plastic straws are not recyclable. Even though they are plastic, the type of plastic used to manufacture single-use straws is rarely accepted by recycling companies. Ever since the YouTube video, “Sea Turtle with Straw up its Nostril,” went viral in 2015, there has been a growing movement in the United States and worldwide to reduce and possibly eliminate the use of plastic straws. Americans alone use 500 million straws every day, which equates to over 1.82 billion straws every year. Since these straws are not recyclable, they end up in landfills across the country, as well as in our oceans. The wave of anti-single-use straws has been fronted by the hashtags #StopSucking and #StrawlessOcean. These two pro-strawless campaigns are urging the public to not use straws, or at least seek an alternative. Paper straws have been cited as an environment friendly alternative with many restaurants offering them to customers. However, Julia Angstmann, Director of the Center for Urban Ecology at Butler University, says that paper straws are just as bad for the environment. Many people also don’t like paper straws because they start to break down when left in drinks for a long period of time. It’s like getting to the end of a lollipop, and the stick is all mushy. Another product that has been successful in reducing the amount of straws used is the tumbler cup. Starbucks has been at the forefront of it all, capitalizing off of the trendy commodity. Macy Gates, sophomore strategic communication major and Starbucks barista, sees the use of reusable cups on Butler’s campus but still thinks that Starbucks could make a bigger impact. “I think that Starbucks is a good company to take that action, just because people view them as a respectable company,” Gates said. Starbucks does offer a discount for customers who bring in their own reusable cups, but the discount of 10 to 15 cents doesn’t motivate people like a larger discount, up to $1, would. At the end of the day, however, Starbucks is a company and needs to make a profit, so there is no telling if a $1 discount would be feasible. 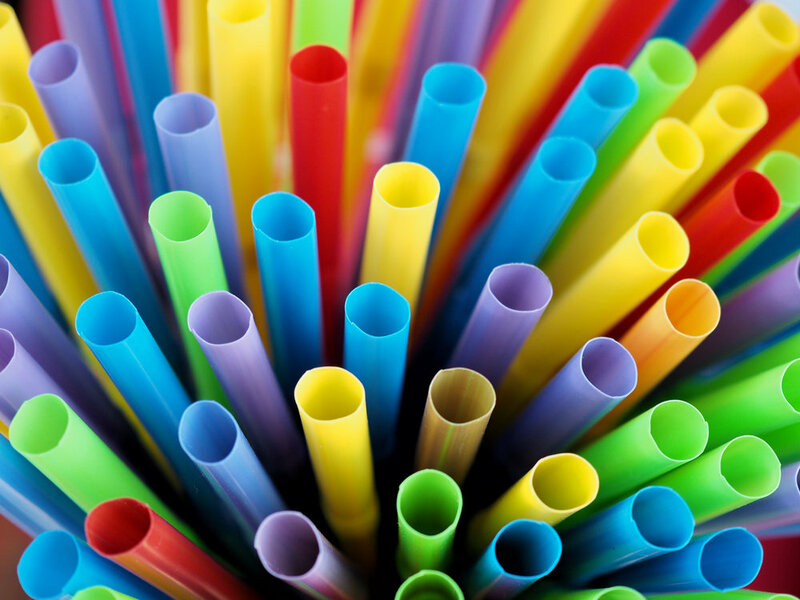 In light of the strawless movement, multiple cities have begun to discuss passing legislation which would ban the vending and use of plastics straws. Seattle and Edmonds, Washington, Manhattan Beach, California, and Miami Beach, Florida, are just a few cities that have started to tackle the issue. Trends that young people have taken to the max, like hammocking, hiking and spending more time in nature, have all aided in bringing awareness to the state of our surroundings. Even if it wasn’t intended to become a “trend,” caring about the environment has taken center stage in a lot of Instagram posts and initiatives. Tom Pieciak, sophomore music education major, believes that, unfortunately, people may start to care only after it is too late, and right now, we should take what we can get. “I say that if recycling and environmental awareness is a trend, then it’s a good one, and we should keep riding it,” Pieciak said. Butler’s campus has been very involved with environmental awareness, putting recycling bins in every housing facility, as well as participating in RecycleMania each year. RecycleMania is an eight-week-long, national university competition that mobilizes and inspires colleges and universities to reduce or eliminate waste. Each week, the participating institutions report the percentages of their waste that is recycling and trash, with all universities and colleges being ranked at the end. Events like RecycleMania raise awareness, though only for a short period of time. The ultimate goal is to change the mindset of the entire world, which is a Herculean task. It sounds impossible – convince the entire world to buy into the idea of recycling and understand why it is important. But little changes, like making the choice to not use single-use straws or using reusable grocery bags, can have a huge impact. Now, if you’re still on the fence about this whole recycling and reusable straw hullabaloo, just think about what could happen if we all just made a simple change in our everyday habits. “One small change in how they interact with their environment, if everyone made one small simple change, that would add up to a huge impact,” Angstmann said. So, the next time you walk into Starbucks to get your nonfat, no whip, double shot, three pumps of vanilla whatever and see those iconic green straws, think about where they are going to end up.